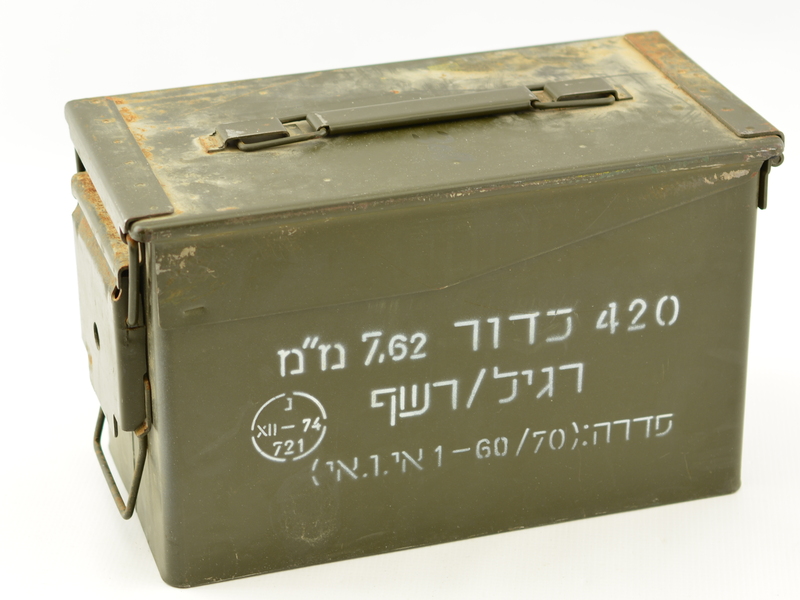 Description: 460 round ammo can of Canadian 7.62 nato ammo. 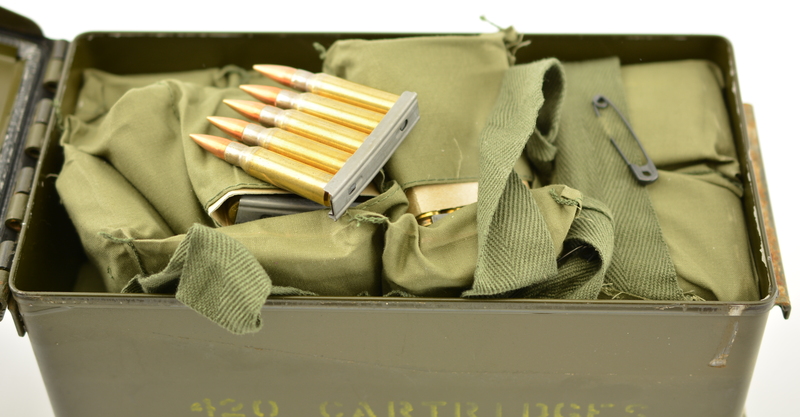 The cartridges remain in their factory packed 60 round bandoliers ink stamped 7.62 mm nato, ball M80, 5rd clips, 1V1-1-60. All ammo remains in as new condition. 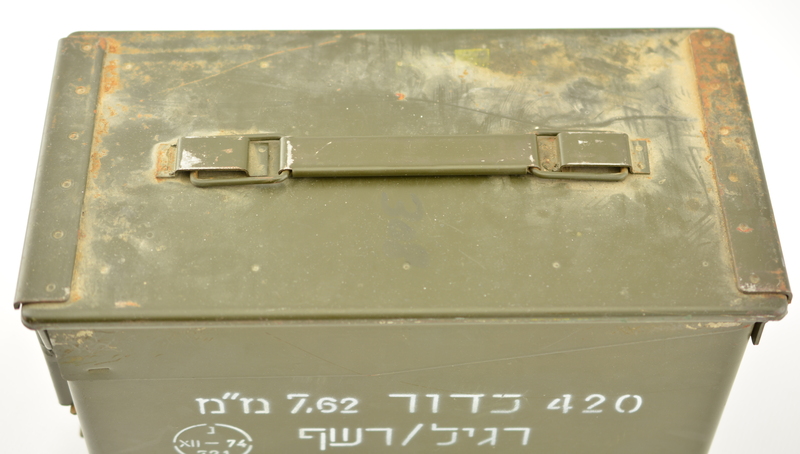 The ammo can show the identical marking. 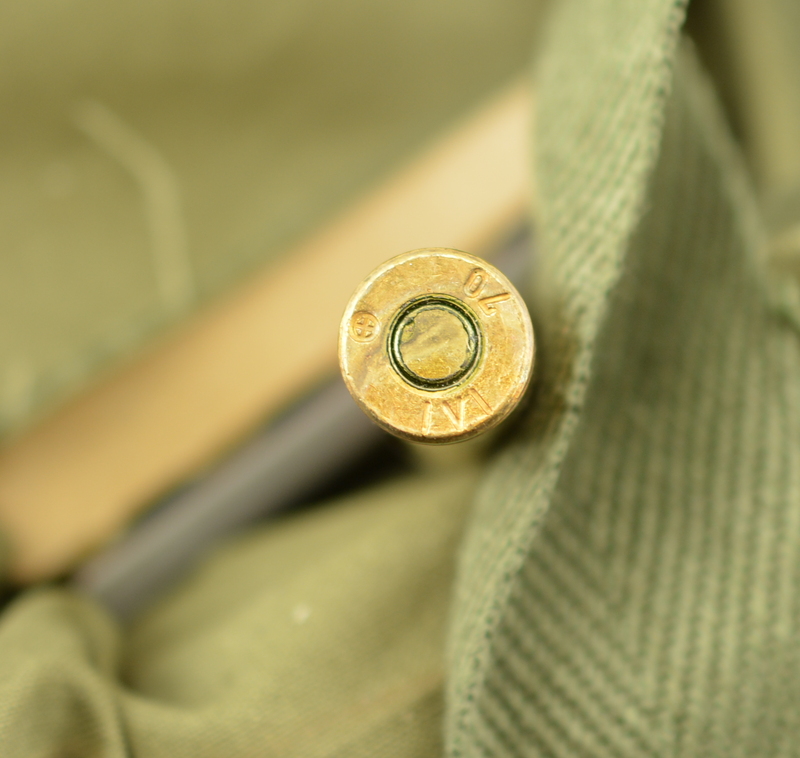 The cartridges are head stamped 1V1/701. 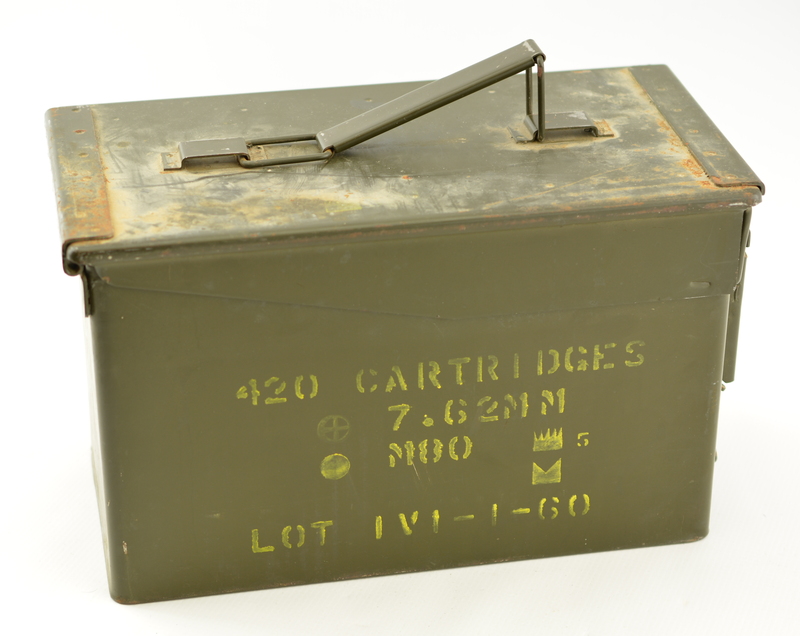 Some of this Canadian Ammo was supplied to the U.S. during the Vietnam war for the M-14 rifle.